As part of UNLV Police Services’ annual officer training, the department will be conducting traffic stop training today in the Thomas & Mack Center production lot & tunnel from 1:00 p.m. to 4:00 p.m. This training will be conducted on Mondays for the next two weeks at the same time each week. The training is not to be confused with the active shooter simulation training that our officers will also undergo later this week on Thursday. The active shooter simulation training will be conducted on Thursdays for the next two weeks. 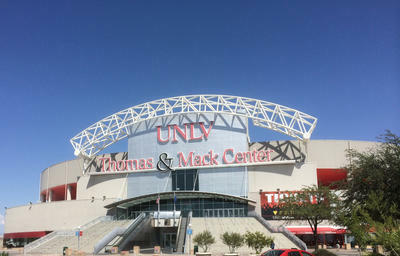 The training at the Thomas & Mack Center today will involve multiple police vehicles with their light bars activated. This is for the training only. There is no emergency. Members of the campus community are asked to avoid the area during this training.